After Harriet Fulton’s death in Cincinnati in 1920, her daughter, Annie Fulton Holden, inherited these family heirlooms. Annie lived in Cincinnati until her death in 1935. At that point, the pieces were passed on to her youngest daughter, Linda May Holden, the only married daughter and the last child to have been born in Fulton Mansion. 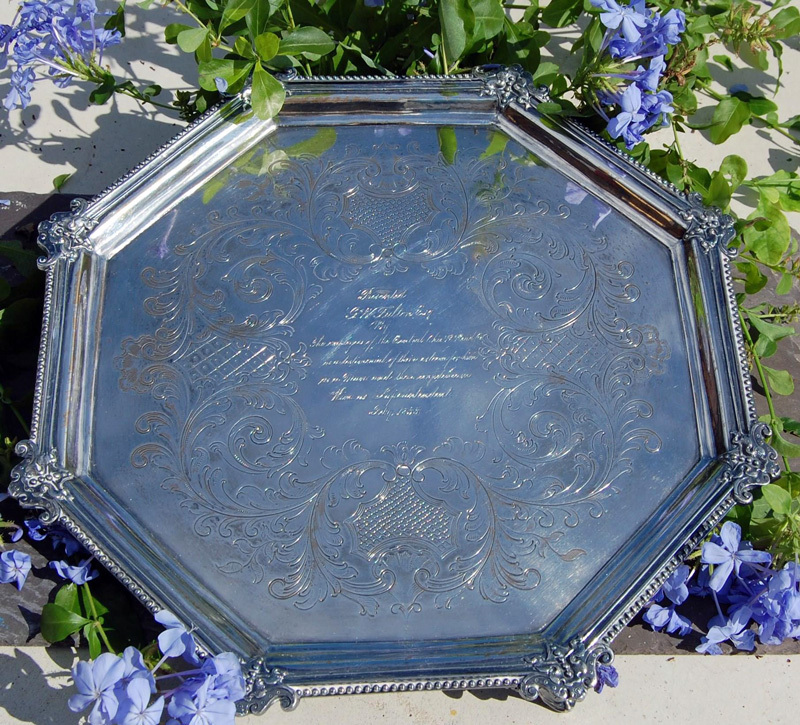 Linda May married Reuben John Beaman in 1908, and the silver stayed with them through several moves including a final one to Corpus Christi. In 1963, Reuben and Linda were killed in a one-car accident in Hallettsville, Texas. The family heirlooms then passed to their son, Reuben John Beaman, Jr., and his wife, Mary Emily Koester, who lived in Cincinnati. In the early 1980s, Reuben and Mary moved to Atlanta, Ga. to be near their daughter, Emily Ann Beaman. When Reuben died in 1998, Emily inherited the pieces. Emily and her husband, Brian Lee Beals, reside in Big Canoe, Ga. After a visit to Texas and a meeting with Fulton Mansion’s site manager, Marsha Hendrix, Emily decided it was time for the pieces to return home to the mansion. The employees of the Central Ohio R. Road Co.
We are thrilled to be adding these significant pieces to the artifact collection. They will look terrific in the home after the restoration. 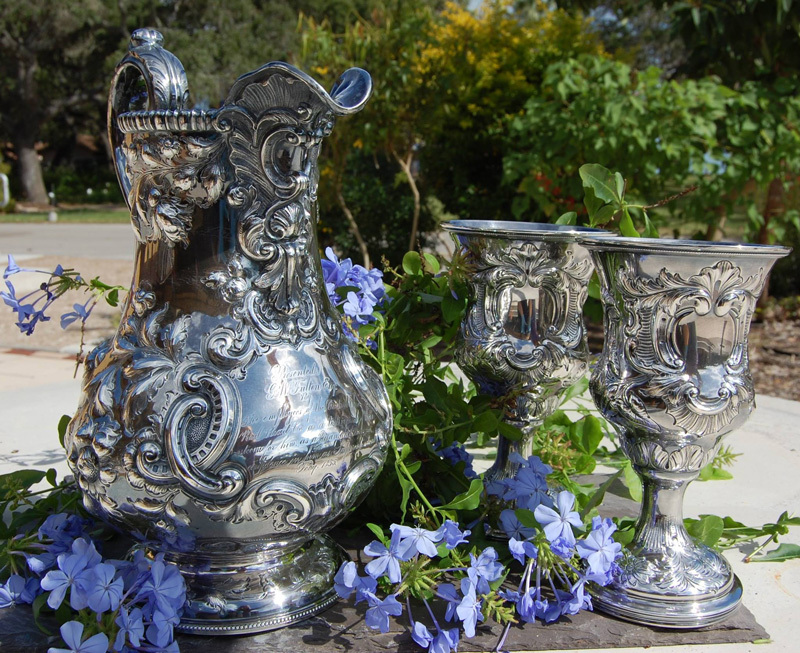 Silver pitcher and goblets donated by a Fulton descendant.